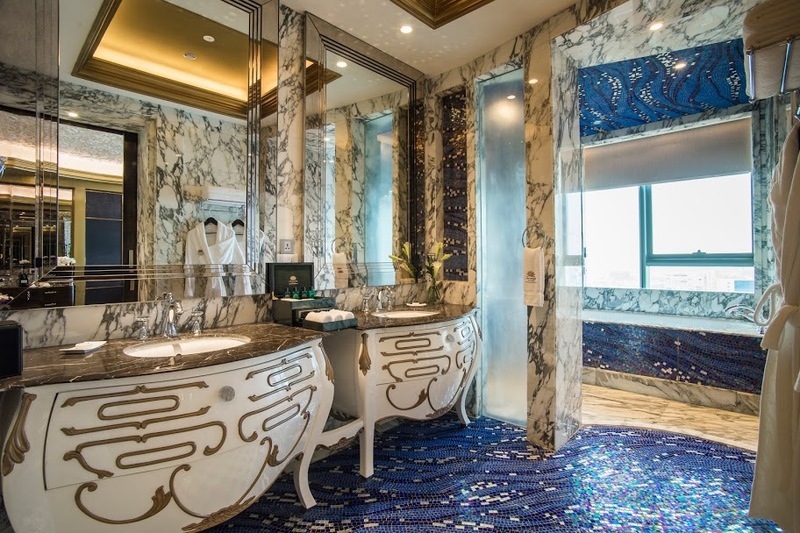 It’s a rare experience for hotel guests to be upstaged by a hotel’s designers but with The Reverie Saigon it almost seems justified to do so. 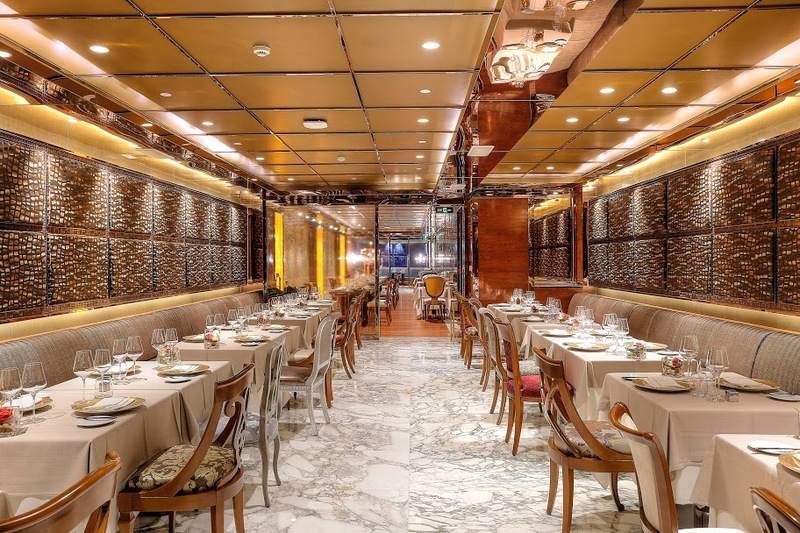 How can a simple guest possibly compete with twenty of Italy’s most revered interior designers given carte blanche (or should that be carta bianca) to create a landscape of such mind boggling opulence it is almost impossible to comprehend. Yet here it is before my very eyes. I’m visually assaulted the moment I arrive at the privately owned 39 storied Times Square Building nestling between Dong Khoi Street and the newly pedestrian Nguyen Hue Boulevard in Ho Ch Minh City’s prestigious District 1. 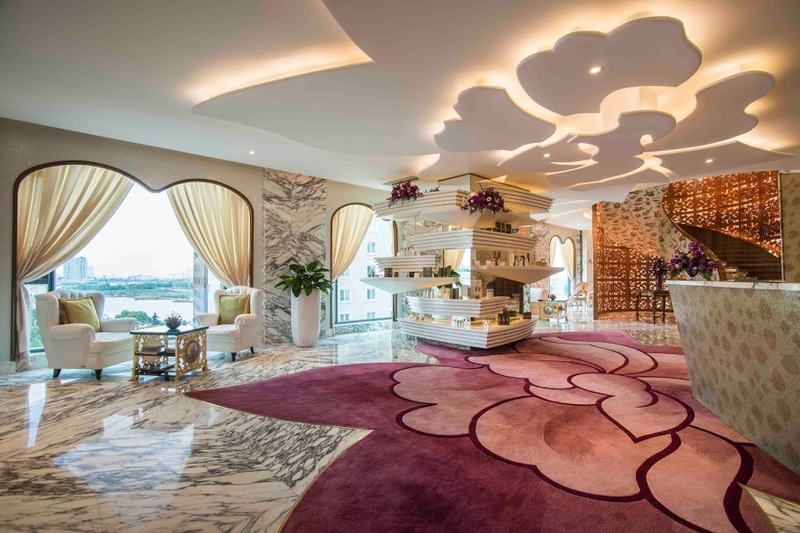 Although The Reverie Saigon begins on floor 7, the lavish gold leafed entrance, shimmering Swarovski crystal encased lobby and art deco gilded gold elevator is a taste of what is to follow. The elevator doors open silently to a landscape of white and blue marble. “Peacock leather” says Nathan who has spotted me eying up the purple and gold 15 foot long chaise lounge in the reception lobby ” one of only two in the world, the other belonged to Michael Jackson” . 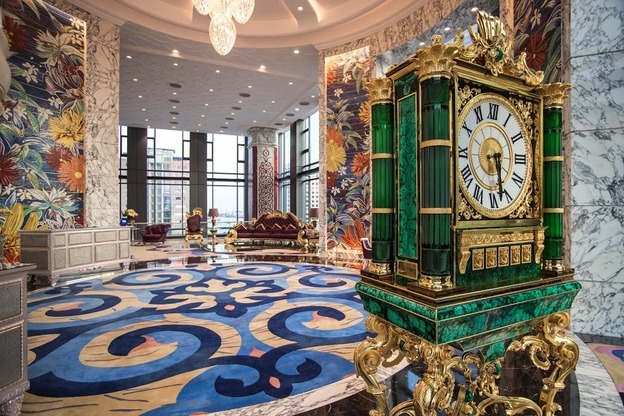 The reception lobby is almost dwarfed by a bespoke 3-metre-tall Baldi Firenze Monumental clock . “hand-made mosaic in malachite, lead crystal and 24k gold plate” adds Nathan now warming to the task. It is jaw dropping stuff everywhere I look, which makes it hard to concentrate on the delightful greeting I’m getting from the Reverie Saigon front of house team. Before I realise it, I’m whisked up to my panorama deluxe king room on floor 32 which under the circumstances is fairly ordinary; just floor to ceiling wall to wall windows, breathtaking corner position overlooking the city and the Saigon River, 570 square feet, fully stocked free mini bar, Frette dressed bed with 400 thread linen, 46 inch LED TV and 15 inch TV in the bathroom which by the way, has a walk in rainforest shower and separate tub and Chopard amenities. There is though, almost as an afterthought, a designer glass table with two white leather chairs. 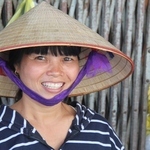 Spending the day getting to better know Ho Chi Minh City or Saigon as the locals always prefer to call it is a world away from The Reverie but arguably just as dazzling. The hotel is within easy walking distance of all the major District 1 sights; the French colonial Opera House, the neo-classical Central Post Office, the historic Reunification Palace, the War Remnants Museum and Ho Chi Minh City Museum. At night, Nguyen Hue Boulevard comes alive with locals and tourists sharing the open space, meeting friends and snacking at the bars and restaurants. I haggle for a varnished bracelet; “200,000, very cheap” I’m told by the vendor. Clearly still intoxicated by the Reverie Saigon designer mind set I accept without hesitation and then rush back to my room to work out the price. £5.20 a pretty good deal after all. 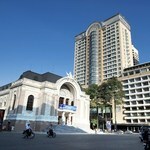 The Reverie Saigon boasts four choices of eating venues and I challenge myself to try all of them. I begin, just to catch my breath, back down on the street at the Long Bar at Times Square; a 48 metre long bar stretching the length of the building from Dong Khoi Street to Nguyen Hue Boulevard. It has a wood fired pizza oven imported directly from Naples (of course), by order of Italian Head Chef Giovanni Parrella and plenty of snacks, beers and cocktails and 32 flavours of Italian gelato. One floor down and Chef Giovanni lords over R &J (stands for Romeo and Juliet) , a sumptuous restaurant celebrating cuisines from all over Italy at prices so reasonable I had to double check my exchange rates. Five course tasting meat menu with whiskey flights, VND 888,000 which is around £26. Surely not. Back upstairs it’s breakfast and Cafe Cardinal is at the heart of designer Visionaire’s canvas with its all day dining menu celebrating French colonial Saigon. 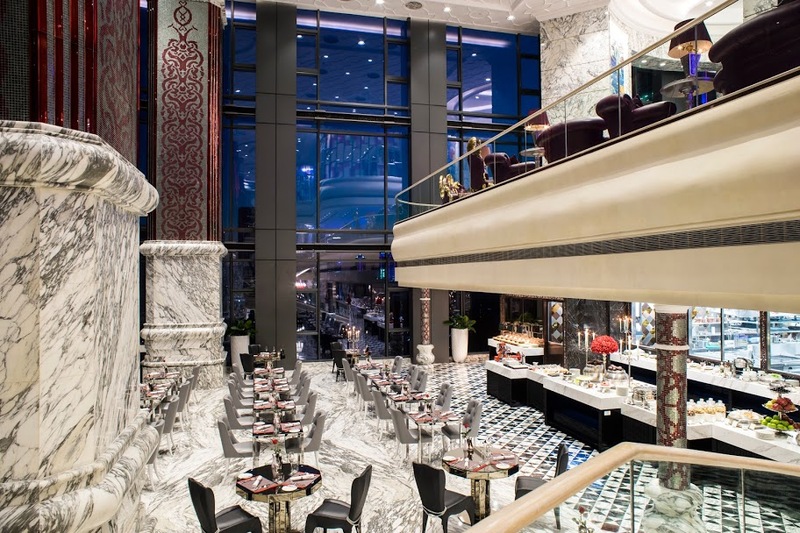 Huge marble pillars surround me, a 42 foot leather couch extends to infinity, marble serving counters are laden with food, chefs are preening in the open kitchen and server Libby is being entirely delightful. “Cafe Americano with hot milk just like yesterday” she whispers as my favourite coffee materialises in front of me.” You try Pho again this morning?” Pho is the quintessential Vietnamese breakfast, a bowl of secret broth, rice noodles and lashings of greens of all description. Delicious. I aim to please and Libby rushes off to make the magic happen all over again. 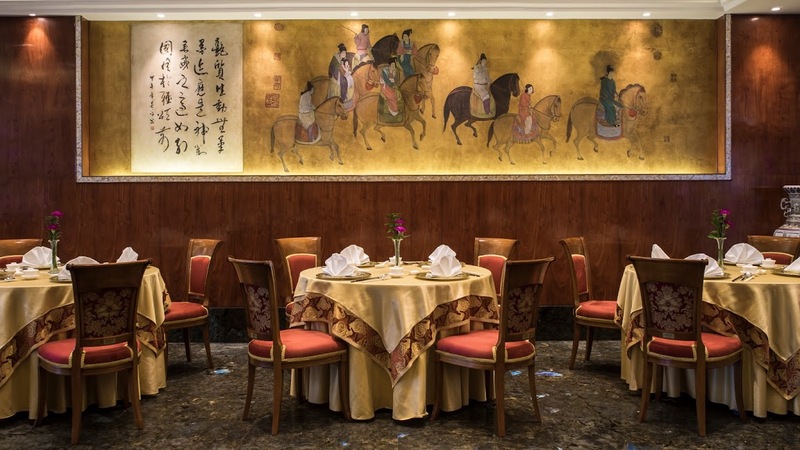 Upstairs, The Royal Pavilion is the Reverie Saigon signature Cantonese restaurant. 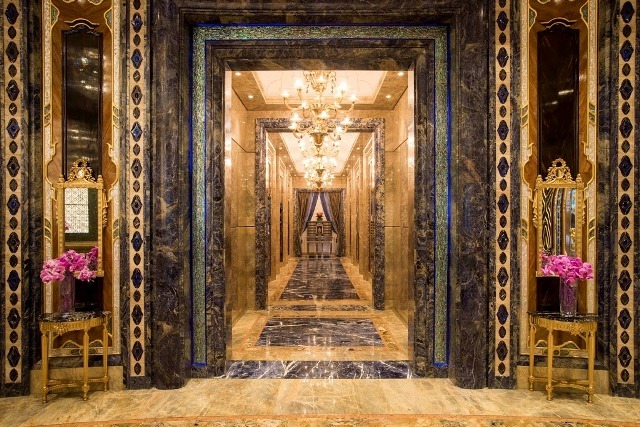 On the way up I pass the onyx lined ballroom covered in Swarovsky crystal chandeliers, a stunning Bechstein Grand piano guards the entrance, “reimagined” by Italian designer Baldi with a Russian mosaic veneer of malachite stone and gilded bronze. The Royal Pavilion entrance itself guarded by a giant leaping Swarovsky crystal tiger leads into a regal world of jade, vermilion and gold. I feel like an emperor. There is a stately air here, and a menu of stately proportions served with military precision by a presidential team complete with earpiece communication. The dim sum is stuff of legend here and doesn’t disappoint, crafted skilfully in front of me like a labour of love. 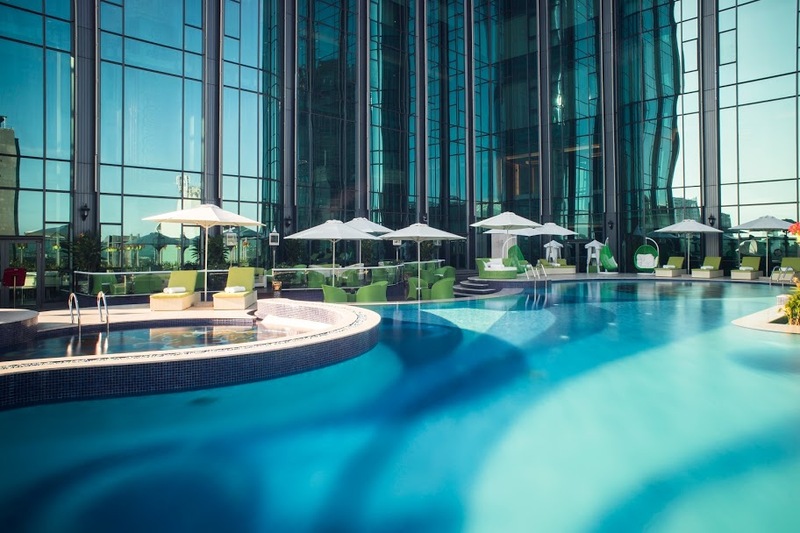 The 6th floor terrace reveals a 78 foot outdoor swimming pool complete with underwater sound system and all the expected pool accoutrements for lounging in the Saigon sun. After all my eating exertions I make full use of it for an hour before taking a look around the spa, all 13,000 square marbled feet of it. It is a sensory experience on its own never mind the tailored range of Asian and western sensory treatments. Corridors of bowed slatted walnut lead to 10 treatment rooms four doubles and six singles. The thought of a four handed Reverie Harmony massage enters my head but sadly, a call from the concierge telling me my limousine is waiting to take me to the airport, shatters the moment. Still, it’s not all bad, the collection of limo possibilities includes a Bentley, a Rolls-Royce limited edition Phantom Dragon, a Maybach and various classes of Mercedes. I spot a Mercedes van waiting for me. Oh well, back down to earth from designer heaven. 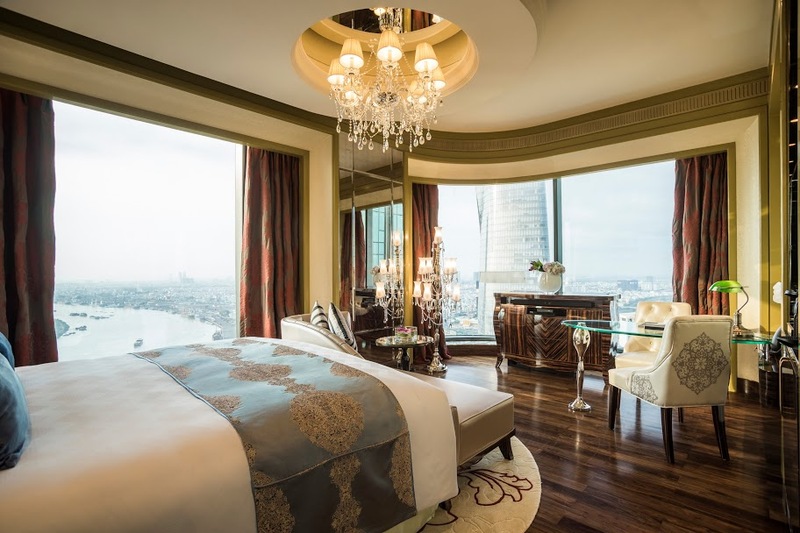 Starting nightly rates in a Deluxe room at The Reverie Saigon start from $350/£233 inclusive of breakfast, complimentary Wi-Fi and mini bar per room per night. 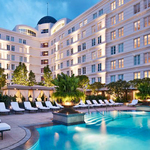 Suites start from $800/£512 per suite per night inclusive of one or two-way airport transfers, dependant on room category.